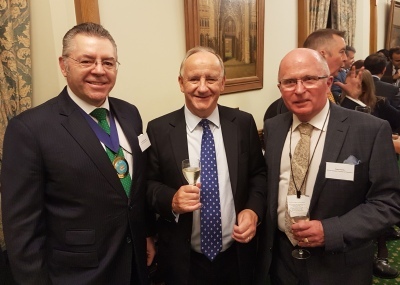 David Stringer-Lamarre, MD of Fortis CL, within his role as Chairman of the Institute of Directors, City of London, was pleased to attend this event held in the House of Commons. Laurence Robertson MP delivered the welcome address and spoke about the opportunities associated with increasing trade between the UK and India. Ed Pickett, Department for International Trade, commented about the commercial linking capabilities provided by technology and how this has the ability to drive the creation of new trading relationships.